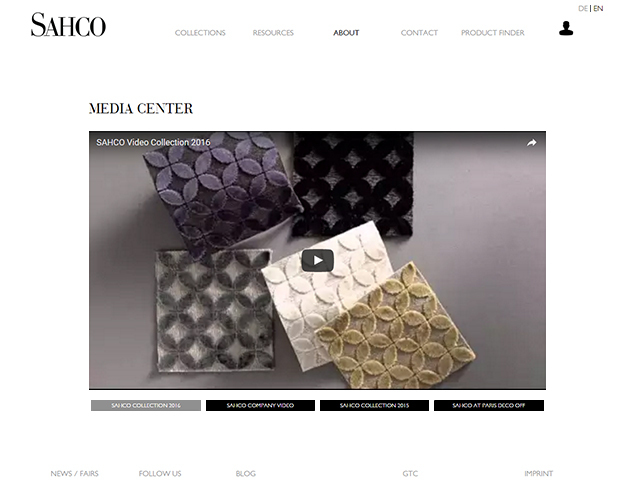 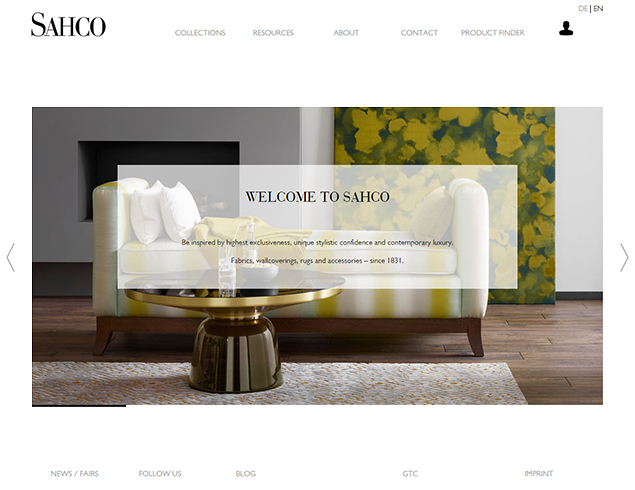 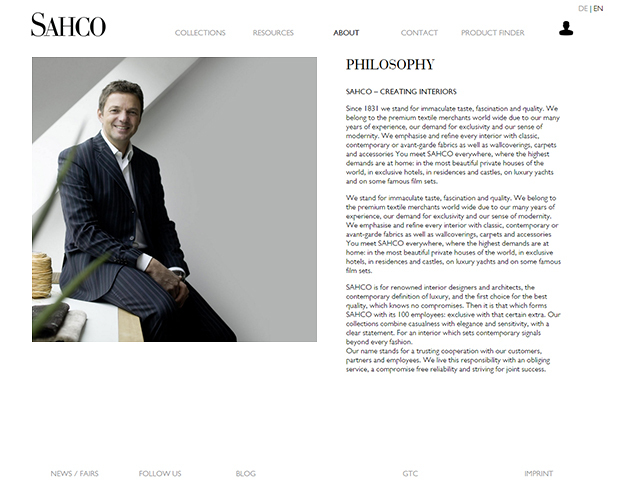 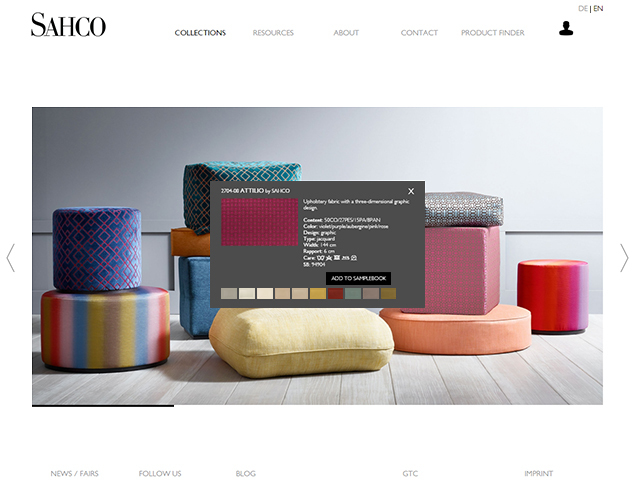 A complete website redesign for interiors fabric brand SAHCO. 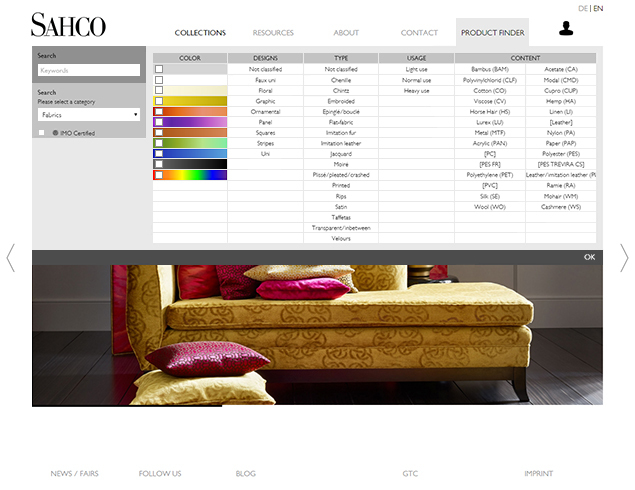 The expansive product collection can be searched and filtered through an intuitive and powerful product finder. 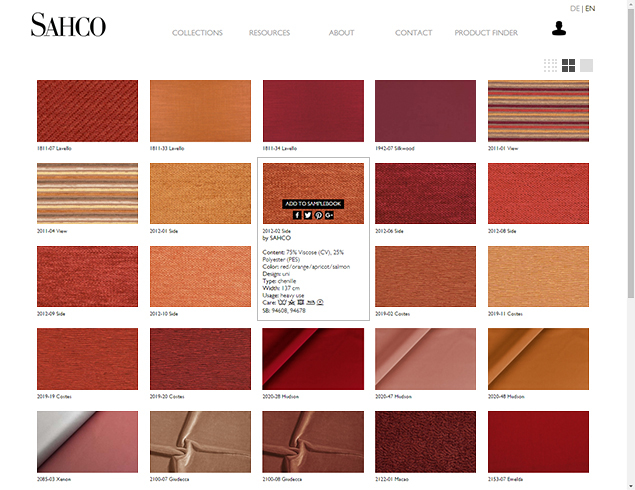 Collection stories are complimented by image map hotspots to obtain product information on the fly.